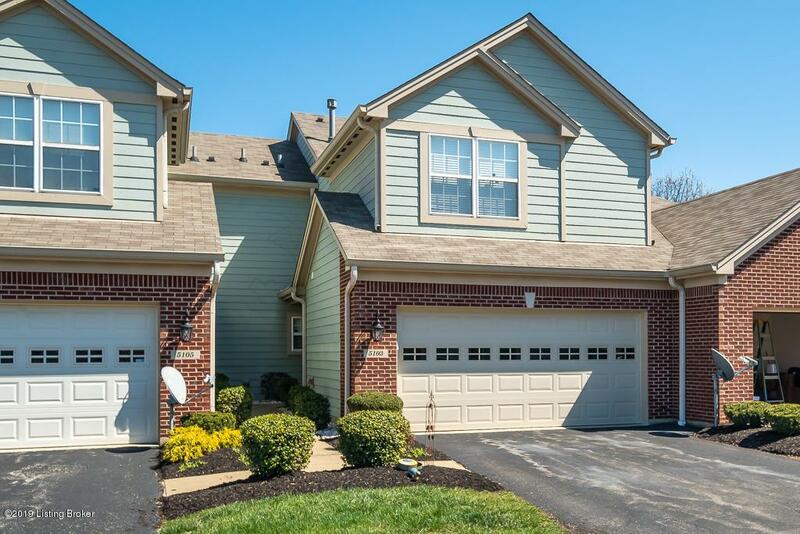 This two story condominium can be found in Cobblestone, a beautiful and private, gated community on the edge of Jefferson and Oldham Counties. 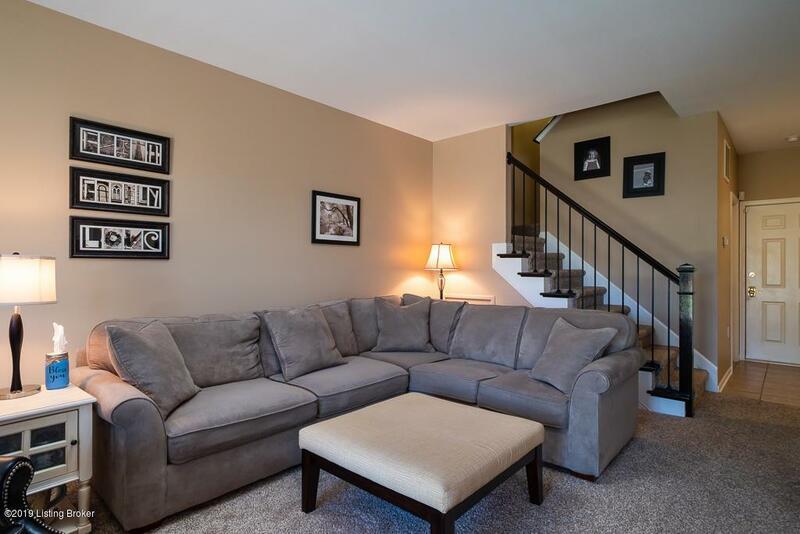 The living room is spacious, easily accommodating the current owners large sectional sofa. Just off the living room is the formal dining area and kitchen, which is equipped with stainless steel appliances (new dishwasher and refrigerator) and abundant cabinetry/pantry storage. All bedrooms are located upstairs with the generous Master boasting it's own walk-in closet, private en-suite bathroom, and dual vanity area. The next two bedrooms share a full bathroom accessible from the hallway. 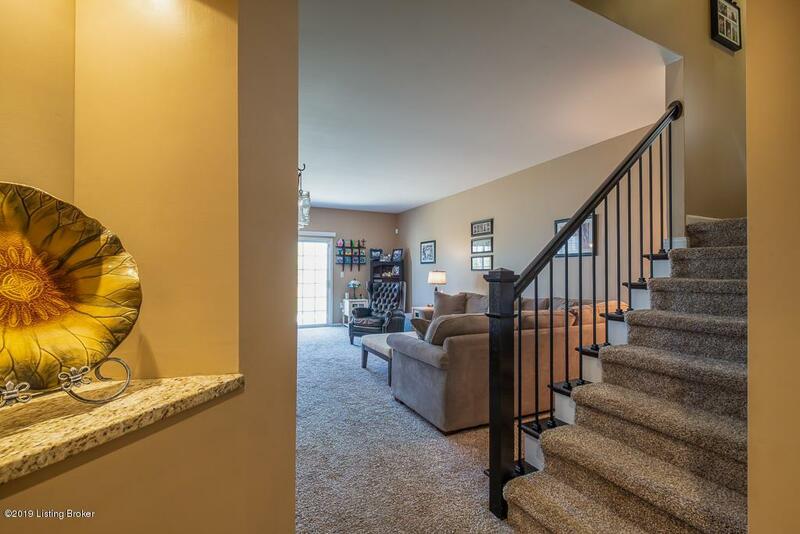 Remaining rooms upstairs include a loft space which is currently being utilized as a work space, and a dedicated laundry room (CONTINUED)>> that keeps you from hauling baskets of clothing up and down stairs. 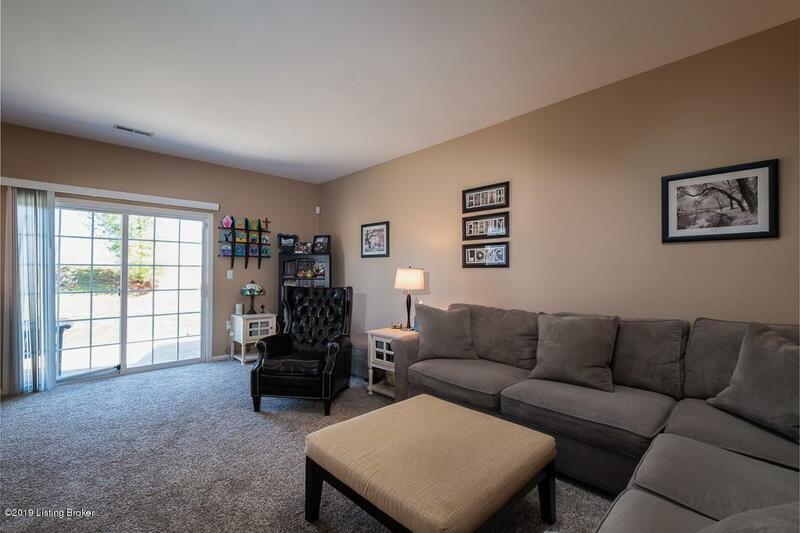 Here you'll enjoy your own private two car garage (new garage door opener and spring just installed), rear patio, and small yard individual to each unit. If convenience is what you're looking for, look no further! It is located near shopping centers such as Springhurst and The Paddock Shops, Restaurants, Hospitals, Fitness Centers (YMCA, 9Round, and Orange Theory), as well as nearby access to the Gene Snyder and 1-71. The monthly HOA ($253) includes groundskeeping, exterior maintenance, snow removal, water, sewer, trash, and master insurance. Residents of Cobblestone share access to the neighborhood Clubhouse, pool, and fitness center. 5103 Withorn Square will not last long. Don't miss your opportunity to see it today!